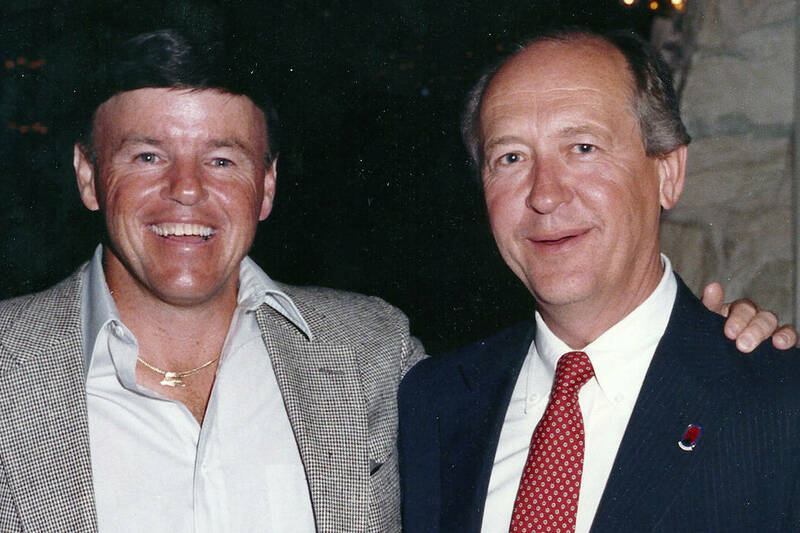 Tom Hartley and the late Bill Farkas, who were key figures during that first year, were inducted into the Las Vegas Golf Hall of Fame along with LPGA teaching professional Kerri Clark and the Southern Nevada Golf Association. In 1983, the inaugural Panasonic Las Vegas Pro-Celebrity Classic was played, an event now known as the Shriners Hospitals for Children Open. That first year was notable for several reasons, from showgirls kicking off the tournament at a make shift driving range on the Las Vegas Strip, to more than a thousand pros and amateurs playing in the five-round event at four courses, to it being the first $1 million purse in golf history. Last Friday, Tom Hartley and the late Bill Farkas, who were key figures during that first year, were inducted into the Las Vegas Golf Hall of Fame along with LPGA teaching professional Kerri Clark and the Southern Nevada Golf Association. Farkas was the director of golf at Las Vegas Country Club for 27 years and it served as the tournament host course from 1983 through 1991, prior to it moving to TPC Summerlin. At the time of the first tournament, Hartley was the managing partner at Deloitte, Haskins and Sells, a CPA firm. Zach Taylor and Jim Cashman, Jr., two of his clients, asked him to get involved with tournament planning and to help form what would become the Las Vegas Founders Club, a volunteer organization that ran the PGA Tour event until the Shriners took over in 2007. Early on, Hartley met Jim Colbert, a PGA Tour professional who had recently come to town to manage Las Vegas Municipal Golf Course. It was a meeting that would turn into a decades-long partnership and friendship. Hartley helped Colbert sell his vision of professional golf in Las Vegas and over the years served as tournament chairman and president of the Founders. Plus he became the president of Colbert Golf, which at its peak was the management company for 25-30 courses around the country. Colbert said the decision by Wald and the others to make it a million-dollar purse immediately impacted other PGA Tour events. Within a few years, he estimated there were more than a dozen tournaments that had million-dollar purses.